Let’s ignite your ideas in ink! 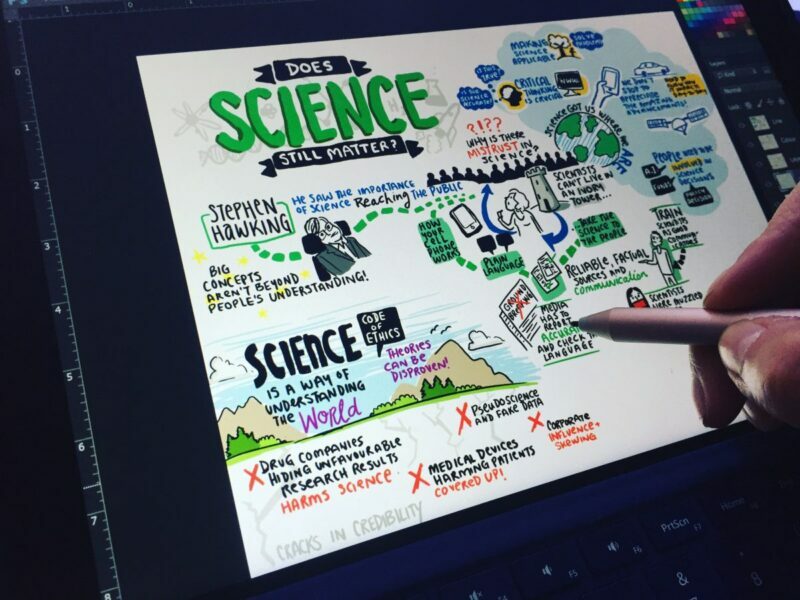 Wow your audience and spark curiosity through graphic recording at your next conference! 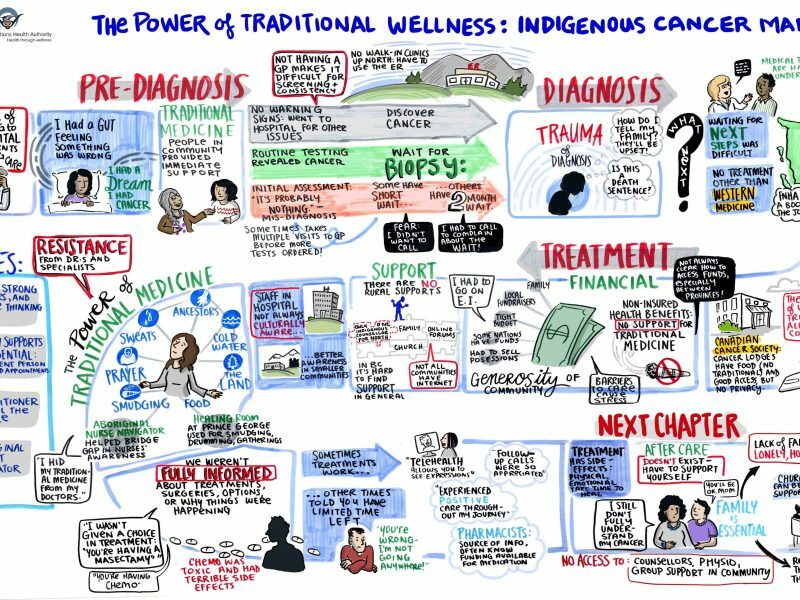 We customize graphic recording to each conference so it’s an authentic and unique experience for participants. These mesmerizing videos explain complex topics through “edu-tainment!” Perfect for showcasing a new product, service, or concept. Our animations have been seen on television and as ads in theatres across Canada. Have a presentation coming up and need an engaging, visual way of explaining your concepts? An infographic can be presented in Prezi, as a large poster, or as hand-outs to participants. 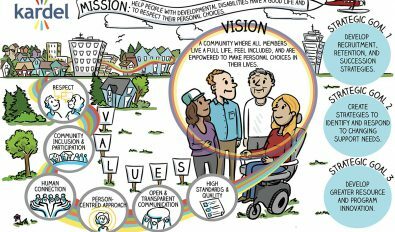 We believe the best graphic recording comes from a deep understanding of your organization and objectives before setting our creative minds to work to deliver a truly unique experience! The following projects are a peek behind the scenes of some of our recent work. Four patients and ten health care providers mapped out a patient journey based on what occurs “80% of the time” in order to identify gaps in care. Mapping the patient journey using visuals and a defined pathway helped patients better articulate their experience and ensured everyone in the room was engaged in the process of building the map. The finished map was brought to various health groups, patient groups, and service providers to gain a 360 degree perspective on the patient experience. Because the map is so visual, it was easy for people to understand the journey. 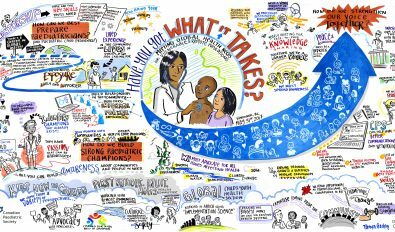 This is one of eight graphic recordings from a health summit of Alberta First Nations. 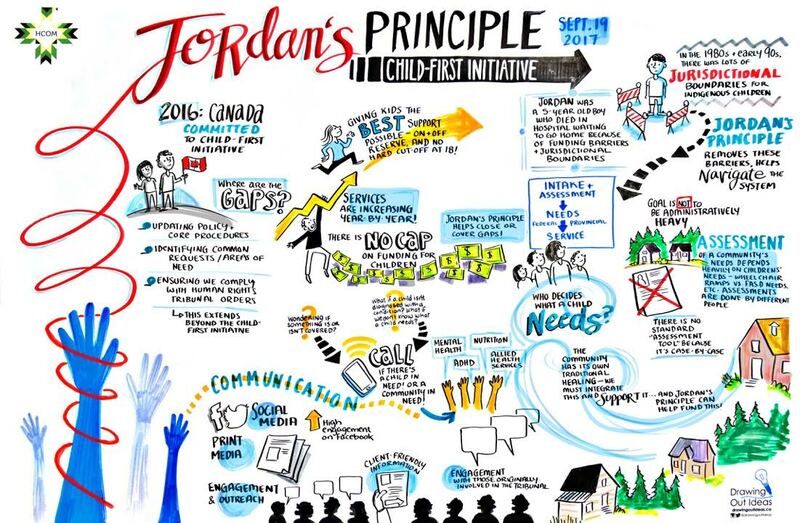 The First Nations & Inuit Health Branch lead a discussion with a group of 50 leaders from Treaty 6, 7, and 8 about the federal government’s child-first initiative (Jordan’s Principle) and what it means for First Nations communities. The audience shared what resonated with them by writing on post-it notes and placing them on the graphic recording. These thoughts were then integrated onto the graphic. At an IBM conference in Las Vegas, Nevada, we graphic recorded a series of keynotes and also illustrated this “Talent Wall.” Each participant that stopped by the Talent Wall was matched to a “persona” based on their answers to questions about their career path. We snapped a polaroid of the participant and illustrated their thoughts on technology in the workforce. 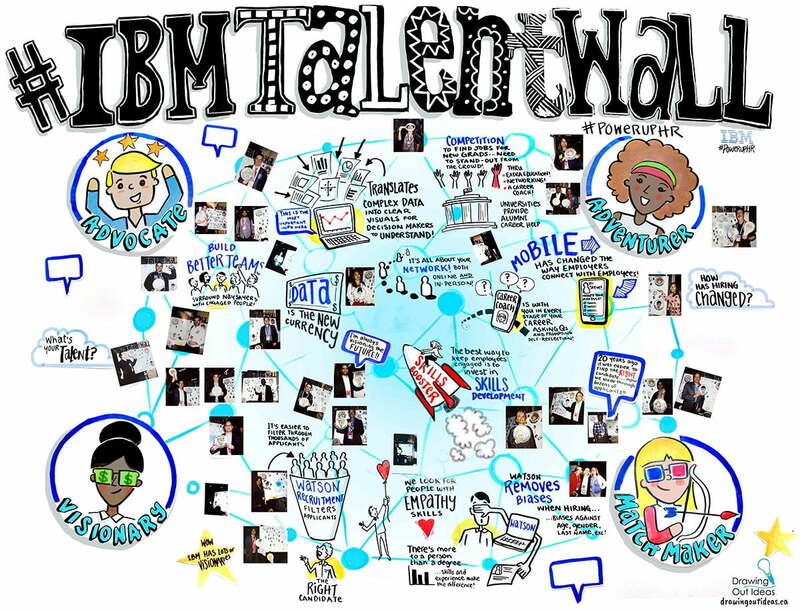 The hashtag #IBMTalentWall was used to drive engagement on Twitter. We want to light the fuse of inspiration at your next conference or project! Find out more about our backgrounds and what drives us to explore new ways of working.